Satellite phone rental from OER. Iridium 9555 and 9575. Stay in touch with an affordable, inclusive, and simple Iridium 9555 satellite phone rental from OER. 50 minutes of airtime included! Compact with internally stowed antenna. In addition to agreeing to the standard OER Rental Agreement (you will confirm during checkout) you also agree to the terms and conditions included in the Satellite Phone Rental Agreement Addendum (see Rental Agreement tab below). 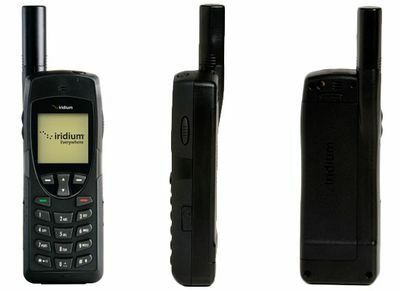 Iridium 9555 satellite phone rental from OER – simple and inclusive rental packages. OER’s Satellite Phone Rental offers communication anywhere in the world. 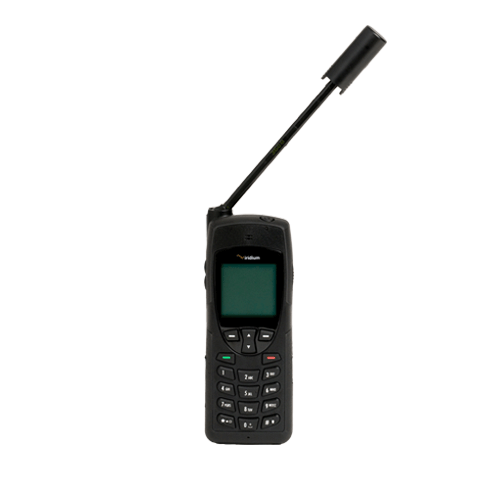 Compared to other rental companies, our satellite phone packages simply offer more. For more information on usage plans see the ‘Data’ tab. 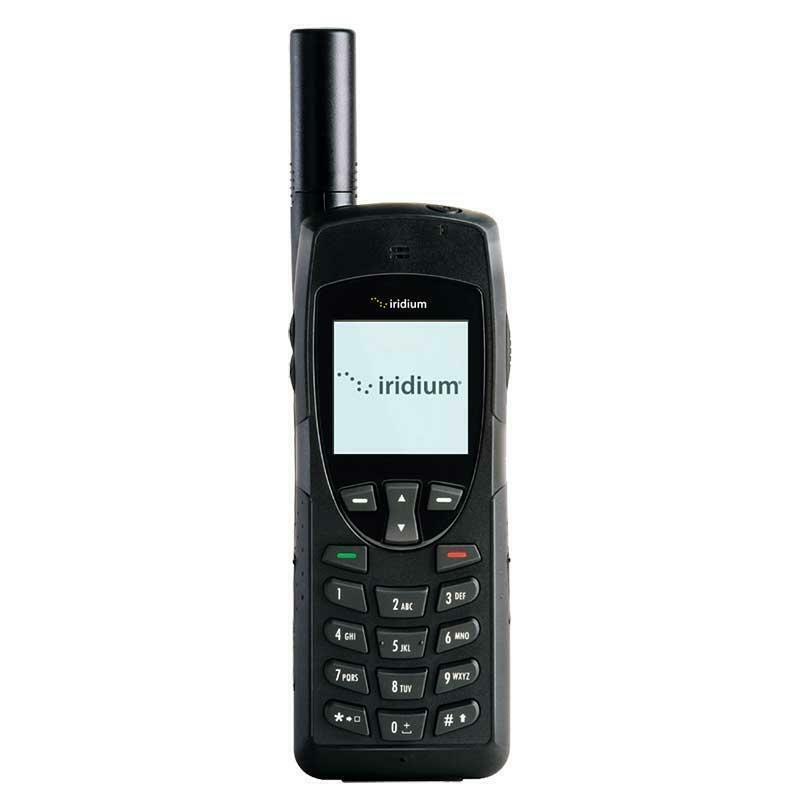 All Iridium Satellite phone rentals from 7 to 30 days include 50 minutes of airtime. A. The following provisions are in ADDITION to those indicated in the basic Rental Agreement and apply to rental of Satellite Phones only. The following provisions supersede the basic Rental Agreement where in conflict. B.	Lessee agrees to the terms in both the basic Rental Agreement and those in this Satellite Phone Rental – Addendum. C.	It is the Lessees’ responsibility to understand how to use the phone/terminal and other rental equipment and to verify that it is operable. D.	The Lessee is responsible for all usage including calls that are dropped while in progress. Lessee agrees to pay all charges set forth in this agreement regardless of coverage or equipment performance in the area of attempted use. Outdoor Equipment Rentals gives no warranty of the fitness of any equipment for any specific purpose and advises the Lessee to be certain that the use or possession of the equipment is legal in any country within which the Lessee intends to use or carry the equipment. Lessee agrees to abide by all effective regulations in any country where the equipment is used, including the purchase of any required licenses or permits. E.	Limitation of Liability: Satellite or other service may be temporarily or periodically interrupted, delayed, barred, or otherwise limited and is not available everywhere in the world. Service may be affected or prevented by many factors, including but not limited to: geography, topography, weather, atmospheric conditions, system maintenance, system outage, and misuse. OUTDOOR EQUIPMENT RENTALS makes no representation that it can arrange for uninterrupted service. Furthermore, OUTDOOR EQUIPMENT RENTALS shall have no liabilities for and shall give no credits or rebates for interrupted service unless caused by the willful malfeasance or gross negligence of OUTDOOR EQUIPMENT RENTALS. OUTDOOR EQUIPMENT RENTALS shall not be liable for acts or omissions of other carriers, equipment or software failures or modifications, periodic downtime for maintenance or service, acts of nature, strikes, war or civil disobedience, government actions, bankruptcies, or other causes beyond our reasonable control. F.	The Lessee agrees to pay rental charges as follows: Rentals of 2 month or less, the entire rental cost plus any applicable shipping costs will be charged at the time the unit is shipped. For rentals of 3 months or more, charges for the first 2 months will be charged at the time of shipping, and subsequent months will be charged monthly on the anniversary of the initial shipment. G.	The Lessee agrees to pay OUTDOOR EQUIPMENT RENTALS all airtime/usage charges for calls/communications made from or received on the rental phone/terminal. It is the Lessee’s responsibility to know the usage cost for any particular calls the Lessee makes. This information is available from OUTDOOR EQUIPMENT RENTALS upon request. Airtime billing is in one minute increments (one minute minimum).OUTDOOR EQUIPMENT RENTALS reserves the right to put a hold on Lessee’s credit or debit card to cover the retail value of the equipment at any time during the rental. H.	Non-Refundable Charges: In the event that the Lessee returns the phone prior to the Expected End Date, the Lessee will not receive a refund for any part of the original rental reserve period. Lessee will not receive refunds or discounts on airtime usage related to calling OUTDOOR EQUIPMENT RENTALS’s Lessee service or technical support numbers.